Keystone Finishing is an industry leader in AMS-C-26074 nickel plating. Keystone Corporation can assist in completing commercial orders ranging from a few specialized pieces to an extra-large run of materials. Providing personal attention to budget, deadlines and specifications needed by customers, Keystone Corporation's plating services are used in railroad, military, aerospace, communication, automotive, and machinery application. We maintain superior quality control through the entire finishing and baking process ensuring top quality nickel plating at an affordable cost for any private project or commercial production. Contact Keystone today to receive a personalized quote based on the specific requirements of your business. We've been in the metal finishing business for over 80 years. Our facility is capable of handling a wide variety of projects, whether you need AMS-C-26074 standards or a different type of finishing. 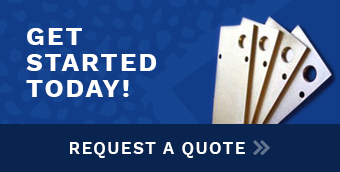 Give us a call or visit our contact page to request a quote for your project today!